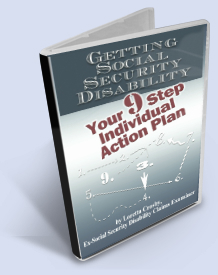 Now that you have received the “Notice of Denied Claim” from the Social Security Administration in reference to your Social Security Disability or SSI (Supplemental Security Income) application, you realize that you must do something to get that Agency to really see how much your medical condition (physical and/or psychological) really limits your ability to work. "Oh, no! There’s been a mistake…"
Your claim will need to be reconsidered because undoubtedly there has been some mistake. Maybe the disability examiner / adjudicator did not receive that last batch of records from your treating doctor. You know, the one that clearly stated that you were disabled and could not walk to your mailbox, let alone spend eight hours everyday doing a full time job. Or, perhaps this was just a case of human error on the part of the disability examiner at the Disability Determination Services office who was in charge of making the decision on your claim. Perhaps s/he had to check a "yes” or “no” box when imputing the final decision into the computer, and instead of registering the “yes—this person is disabled”, that examiner’s hands were shaking from too much caffeine that morning, and the “no, this person is not disabled” box was checked in error. Then too, it could have been that with 6 out of every 10 initial applications being denied by Social Security workers, you are just one of those six that will need to challenge the system to ensure that they do the right thing. But no matter what the reason is, all you know is that the decision will have to be changed. While waiting on that initial decision to reach you, you had accidentally stumbled across a disability article that indicated that your chances of getting disability benefits approved increases dramatically if you have a representative on your side. So you’ve decided to hire someone to help you win the benefits you know you deserve. So where do you start? Where do you go to find the right person with the right credentials to handle your reconsideration and any subsequent appeals? You sit down. Just thinking about it tires you out. You need to rest, tackle it in the morning fresh, after you’ve had your herbal tea. The denial letter is enough for one day. Who do you choose to help you …? Whether you have decided to employ the services of a Social Security Disability Attorney, a Claims Representative, a Disability Advocate / Consultant or a Certified Paralegal to handle your claim for benefits, you might want to consider just a few things before you commit to a contract, which will generally have you sharing 25% of any back benefits that he or she may be successful in helping you win from the Social Security Administration. Decreasing the level of frustration you will feel as you go through the process. After all, if your claim has been denied, chances are you failed to get pass at least one of the SSA’s sequential evaluation process, and that has left you where you are now, so why not give your prospective representative just a taste of what you’ve been through to see if they can make the grade. As a former paralegal handling Social Security disability claims in a Legal Services office, and as a former Social Security Disability Examiner charged with allowing and denying claims, below are the six questions I would seek to get adequate answers to if I ever needed to hire someone to represent me. What Social Security translation school has the disability rep attended? Ok…maybe that is not the exact phasing you would use. Let me explain, you see, in my mind Social Security Disability Attorneys and Advocates and Representatives all provide the exact same service, and that is: they attempt to translate your medical and vocational information into language that the SSA/DDS understands and can use in making the best decision on your claim. So, to translate, the first question you ask will be one to gain some understanding of the representative’s knowledge of Social Security Disability Law. Where did they learn Social Security disability policy and regulations? A class? A seminar? Perhaps they are a paralegal working in a disability law firm whose job it is to receive and summarize medical and vocational information from your files. And if this is the case, have they been exposed to the federal policies and regulation s governing the SSA program, and can they analyze the data they are receiving? As a disability examiner, I have written many summaries of claimant conditions to be reviewed by DDSs medical consultants. But what I know is that if you don’t know what you are looking for in the review of someone’s medical file, it makes it harder to include information that may be critical to a claim. For instance, if you don’t know that having an EF (ejection fraction) of 25% or under severely limits the amount of exertional activity that can safely be done by a person with a heart problem, you might see the term in the claimant’s medical history, but that fact may never make it into the summary you write as a paralegal for the attorney you work for. So, in this situation, where you are considering hiring an attorney who has several paralegals in his office who process disability claims, you may want delve a little deeper into the background of those paralegals. Do they have a medical background? Do they have experience or skills in interpreting federal policy and regulations? Or are they fresh out of paralegal school and operating rotely? What is your prospective representative’s approach to SSA? What is their presentation method? Do they believe you can catch more flies with honey than with dung? Do they have a pleasing personality or do you get the impression that they are impatient and prong to fits of anger when they do not get their way? Such characteristics can end up hurting your chances of getting a quick decision because such attitudes are—believe it or not--transferred over the telephone when these reps communicate with your disability examiner. How a disability examiner handles such perceptions is anyone’s guest, but could you imagine that it may result in your case being put on the back burner because of something your representative said or did not say to your disability examiner? What is your representative’s average caseload size? 25, 50, 100, 200, 250? The lower this number, the better for you. Just as students assigned to classes of 50 get less attention than those assigned to classes of 20, you can guess that if a disability caseload is over 100-150 cases, that there will be some juggling that is going on. Managing a big caseload in a program as complex as SSA means your representative will not have the time to do all the extra work that may be required in preparing your claim to be presented to an Administrative Law Judge. Find out from your prospect how often you will be updated on the status of your disability claim? This question is designed to get at your representative’s a) customer relations skills, and b) their knowledge of the disability process and what things happen within the DDS offices. Customer service skills are critical in any profession that works with the general public, and particularly in any profession which serves people who are under stress as a result of their impairments and/or dwindling financial resources. If, for example, your representative is juggling 200 cases, you might actually get very few phone calls regarding the status of your claim. How will they be able to update you if they have not had the time to call your examiner to find out the status? Good customer service means the representative will have a management system in place that provides that you will be updated on the status of your claim at least every six weeks or less depending on what stage of the process you are in. Getting updates on the status of your claim will also help you emotionally as you wait to receive the results of your reconsideration or appeal. By eliminating the prospective representatives that you speak to that are managing high caseloads as a matter of course, you will be doing yourself a big favor and avoiding the “neither my disability examiner nor my representative returns my phone calls!” syndrome. The second part of this is that if your rep is too busy to return your phone calls, you can pretty much surmise that all they are doing is waiting out your claim until the DE issues a decision. This means they are not taking any steps to proactively get you a faster decision by calling to the attention of your DE critical information your doctor may have provided. And if all they are doing is waiting out your decision, isn’t that something you can do on your own without paying someone 25% of your back benefits or up to $5,300 if they should accidentally win your claim by osmosis? What is your prospective representative’s success rate when it comes to winning claims before the SSA? Is it more than the overall average? You can take a look here to see what is happening on average nationally? This factor, I will admit, is not as critical as the other four items above if you claim is one that has gone beyond the reconsideration level. For example, when your initial application is denied, you then file for reconsideration and are denied again. Both the initial application and the reconsideration application are handled by the DE in the DDS office who will generally never get to see you. Once your claim goes to an ALJ—a person who currently has more latitude and flexibility in terms of applying SSA rules and regulations, then your chance of convincing the ALJ of the severity of your impairments may be greater. Finally, item number 6 in your sequential evaluation of your prospective disability rep is the amount of fees that will be charged to you if they are successful in winning benefits for you. Fees are generally pretty standard and not a thing to be concerned with because SSA determines the fee amounts. These fees are generally 25% of the back benefits SSA owes you, or $5,300, whichever is less. Read your contract to be sure there is no small print stating extra charges for copying your disability record or mileage to the SSAs office for picking up your file, etc. This type of language should not be present in the contract, especially if the rep or attorney has advertised that you will not have to pay any out of pocket expenses in the development of your claim. So, aren’t you glad that you didn’t tackle this article on the same day you got your denial notice? Aren’t you glad you decided to sleep on it first? Choosing a representative to handle your claim can be a daunting task, but keep in mind that anyone you choose will have the same goal in mind. They will want to assist you in winning your claim because when you win, they win. However, if there are inherent challenges that they have, such as having to handle too many cases, or not having the people skills necessary to deal effectively with DDS or just not having the knowledge of federal programs and the interpretation of policy and regulations, then you may want to move on to the next one.